FOSS stands for Free and Open Source Software. There are different types of FOSS licenses with their own specific rules, but generally speaking, they do boil down to being completely free to use and modify. I will keep my description to the general and common understanding of FOSS. Let’s start by explaining the “Open Source” part. What this means is that if you have the skills, you can modify the software to meet your own needs. So, for example, if you don’t like the colors of the menus, or you know of a better way to connect it to your email program, you are free to make all the necessary modifications. You can even re-distribute it as an “improved” version. The huge advantage of being able to modify it as needed is that FOSS software can typically run on all the major operating systems. This includes Windows and MacOS, although there are times when the respective companies restrict this so in response, there even exist complete FOSS operating systems. The “Free” part is the more interesting to us. Basically, the software is free to use, in the same way that a drinking fountain in the park has free water to drink. Technically, your tax dollars have already paid for that water, so it isn’t completely free, but we hardly think about this when we are thirsty. FOSS software is also free. If you need a specific application, say a word processor, and you do not wish to purchase/rent a license of it from a commercial company, you can opt to download, install, and use the FOSS version as as you like. If you have dozens of computers at home, you can install it on all of them, free of charge. The huge advantage of FOSS is that it is a non-restrictive license – you no longer need to purchase it at Best Buy or pay a monthly fee to a software company. The primary reason people developed the FOSS model was to find ways around the restrictions imposed by companies such as Microsoft, Apple, and Adobe. Not only does this offer real alternatives to end users, but it also results in creative, exciting, and innovative options that push the boundaries of what is possible in software development. There is a small caveat to complete freedom, however. Without the limitations imposed by a corporate development structure, FOSS software has tended to go in many different directions, many of them tiny forks of larger ideas. As a result, many applications have become fragmented over time. Many open source applications are not well known, have strange names, and use cartoonish logos that do not exude confidence for the end-user. Because of this, using FOSS involved some risk for most of its existence. Many applications have languished in relative obscurity and lesser states of standardization. Using FOSS meant working with products and organizational names that few people recognized. As a result, users and also companies needing reliable, stable, and continuously supported software could not depend on FOSS software to meet their needs. In short, there was little market confidence in FOSS applications. These factors have opened huge opportunities for FOSS to compete with commercial software developers. Consequently, this competition has also encouraged prominent FOSS developers to become better organized, institute reliable development schedules, and work with other FOSS developers to create better overall products. A convergence of perfect storms is bringing FOSS out of obscurity and into main competition with commercial software developers. There is however one more obstacle to overcome. 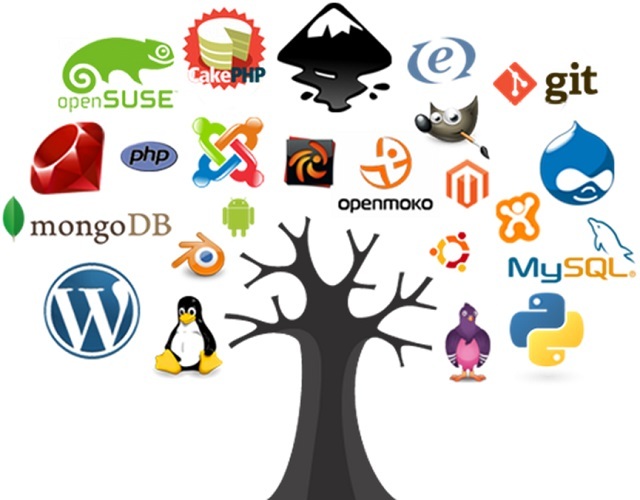 With free software, how do FOSS developers stay in business? Many of these developers originally offered their services for free (usually as a side hobby), while they worked a real job elsewhere. However, this is only sustainable when the products are small and simple. This is not sustainable when the number of users grows significantly because more support time is needed to maintain the applications. Fortunately, the answer to that problem was found in the very problem that was presented: the higher number of users. With higher volumes, a new funding model started to emerge from the chaos: voluntary payments. Unlike the subscription model which requires every user to pay, the developers ask users to pay if they feel the application is deserving of it. It is basically an honor model that is sustainable because of the larger number of users. Statistically, only a small percentage will pay, but with large enough volumes this can cover the cost of development and maintenance. The formula is not perfect, but it does offer a new funding model that helps sustain many of the FOSS efforts out there: those that are large enough are sustainable. In order to become large enough, the software has to be at least as stable, reliable and regularly updated as the commercial alternatives. This is why many FOSS development efforts have now produced products that are of a higher quality and thus are becoming competitive in the marketplace. It should also be noted that many FOSS developers do offer a higher support tiers that are not free. This further boost revenues and allows them to use both funding models to cover costs. This subscription model is directed at larger businesses who need greater assurances. While FOSS still has some way to go to become the preferred option for most businesses, it is already making in-roads. As such it is emerging as a very real alternative to commercial software. An important strength with FOSS lie in its origins. Because of the historically fragmented distribution model, it is also like in a supermarket, with hundreds, even thousands of choices. In essence it is the ultimate democratic experiment. Those FOSS developers that do not provide better products eventually fade in favor of those that do, so the products continue to improve, and I would argue that this is starting to be faster than commercial software development model, in many cases. The end-users for their part, have more choices to choose from and vote with their downloads for those applications that eventually prevail. It is a converging of interests that ultimately offers the best for both the developers and the end users. I realize that I have oversimplifyed the story of FOSS a bit. There are nuances in how this is impacted the software industry. FOSS adoption is certainly not a linear trajectory. That said, I do believe that we are seeing a perfect storm of factors that will see FOSS grow in market-share at the expense of the commercial competition. Of course, for the purposes of our project, the most important factor is that the software is free to use. For those of us who have been following along and were also able to acquire a free computer, my intent is to keep the costs to a minimum and FOSS happens to be a perfect fit. In my next article, I will talk about what FOSS means for operating systems. We can thank the many FOSS developers who have been actively working to develop better software, including complete operating systems. This blog is part of a newsletter published weekly called The Gigster 'Zine. To learn more about us, to receive valuable strategies for improvement, and to find innovative employment opportunities, sign up for the complete newsletter here.